What happens when you create a table? Have you ever give it a thought, how sql server actually managing your table? Where is your data actually got stored? So here how it actually goes. SQL server store your data in a page. A single page is of 8kb size, 96 byte of the page is used as header to store certain information like which table it belongs too. Each row of your table is stored into these pages. Data Row will not span pages, however if your data row is too large like in case of nvarchar(max) etc. SQL server automatically moves your certain data to ROW_OVERFLOW_DATA allocation unit and keep the pointer on the original page. It is untill when you execute your first INSERT, this is when SQL actually assign you a set of pages. Did I just said set of pages! Sql server will assign you an Extent. An extent is a set of 8 pages. Before proceeding let me explain about extents. As I said, An Extent is Group of 8 Pages. Which make its total size of 64KB. SQL Server works with two type of extents. Mixed Extent : Pages present in a mixed extent can belong to different table. For ex. Page 1 can belong to Customer Table. Page 2 can belong to Employee. Page 3 Can belong to Manager. Page 4 again Customer and so on. There is not actual sequence and it will be very random. Uniform Extent : This type of Extent belongs to one and only one table. Now the question arises, How SQL server will decide when to assign any table a Mixed Extent or Uniform Extent? It actually depends on the amount of data. Whenever the size of your table grows upto 8 pages(or 64KB). 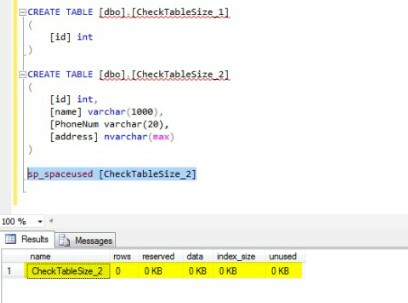 SQL Server will assign your table its own dedicated Extent. Before that SQL Server will allocate pages from a Mixed Extent. NOTE – A Page belongs to one and only one table. Pages are never shared among tables. So when you execute your first insert statement, SQL Server will assign you a page from a Mixed Extent. As time proceeds and your data grows. At a certain point SQL will realise that now this table needs its own extent. I would also like to mention here that not only your table but your indexes as well are stored in pages. Below is the link to give you more detailed knowledge of Pages and extents. Leave your comments. Share your knowledge. Or shoot me with your questions. I wasnt aware of this. Esp about mixed extent.. good read.. Awesome article!!! Very well structured. Got all the information in very little time :). If you could write on indexes that would be really helpful… Keep it up!! where does memory get allocated for create table schema when there is no data in the table? Also, does querying the table from mixed/uniform extent has any effect on performance? 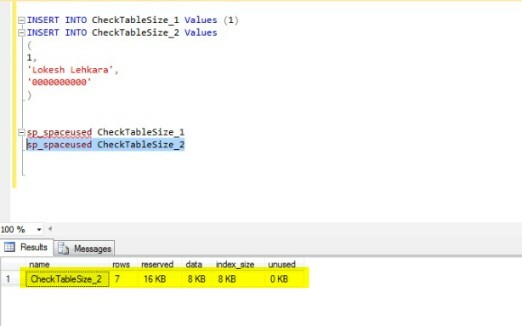 Q. where does memory get allocated for create table schema when there is no data in the table? A. I really do not have any idea about it. It has to be some page associated with Master Database. Reason why I am saying so is, Master DB is the one which hold the basic information of all other databases. Which include Table related information. Q. Does querying the table from mixed/uniform extent has any effect on performance? A. Naahhh!!. When your data grows up to the limit where performance can be an issue, Your table will already have its own extent. Thanks for sharing this valuable information. Keep sharing and let us learn.